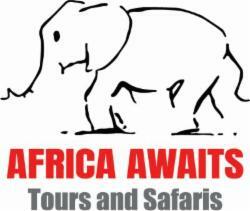 Zimbabwe also offers some of the best wildlife parks in southern Africa. From the forested mountains of the Eastern highlands to the sun-washed grasslands of Hwange National Park, from the hot Mopani Forest to the shores of Lake Kariba, more than 11% of Zimbabwe’s land - 44,688 sq km (17,254 sq miles) - has been set aside as parks and wildlife estates. There are also several botanical gardens, sanctuaries and more than a dozen national safari areas for hunting (an activity that helps to finance the conservation programme and is strictly controlled). Present-day Zimbabwe was the site of a large and complex African civilisation in the 13th and 14th centuries. It was populated by descendants of the Bantu tribes, who had migrated from the north around the 10th century. Evidence of their mainly pastoral lifestyle may still be seen in the ruins of Great Zimbabwe, near the present-day town of Masvingo. The first contact with Europeans was with the Portuguese at the end of the 15th century. Relations between the two were fairly stable until the 1830s, when the region was thrown into upheaval by the northward migration of the Ndebele people from South Africa. At this point, a new aggressive breed of colonists arrived in the form of British mining interests led by Cecil Rhodes' British South Africa Company (BSAC). The BSAC took control of the country - which they called ‘Southern Rhodesia' - until 1923, when it became, nominally, a British colony. From 1953-63, Southern Rhodesia formed part of the Central African Federation with neighbouring Northern Rhodesia (now Zambia) and Nyasaland (now Malawi). In 1965, to resist decolonisation, the settlers - with South African support - issued a Unilateral Declaration of Independence (UDI). This triggered a bitter civil war between the white minority government and fighters for African independence, ending only in 1980, with the granting of independence and the holding of a general election under British auspices, which was won decisively by Robert Mugabe's ZANU party. Modern Zimbabwe is in a terrible state. The economy has all but collapsed. There is widespread famine, which has been cynically manipulated by the government so opposition strongholds suffer the most. The government lacks the resources or machinery to deal with the ravages of the HIV/AIDS pandemic, which affects an estimated one-quarter of the population. With all this and the forced and violent removal of white farmers in a brutal land redistribution programme, President Mugabe has earned himself widespread scorn from the international arena.